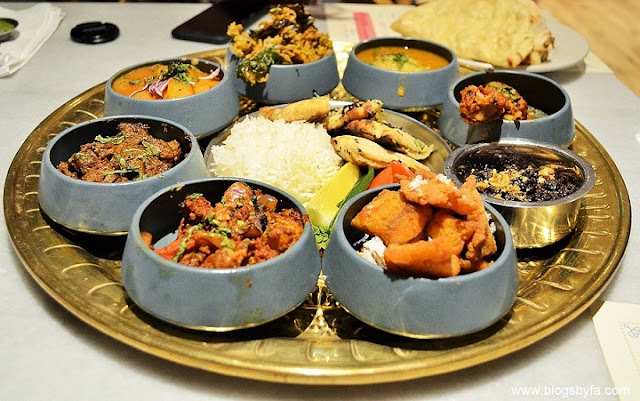 London offers a variety of Indian restaurants to residents and visitors alike, and Talli Joe located in Shaftesbury Ave ensures the diners get to enjoy a scrumptious meal in a relaxed atmosphere. 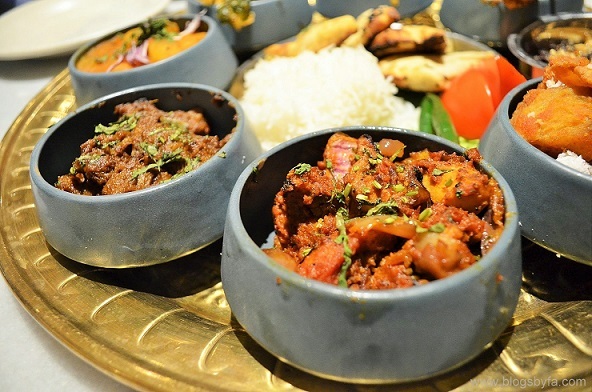 The restaurant has designed a menu comprising classic Indian dishes from all over the country and using different cooking styles from Goan to Punjabi to prepare dishes with a modern twist. 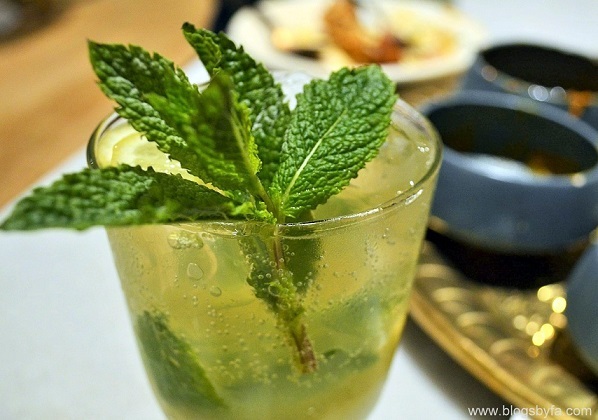 The menu at Talli Joe includes chakhnas, small plates, half plates, sides, sweet plates and refreshing drinks including both non-alcoholic and alcoholic options making it one of the most sort after Indian restaurant in London. 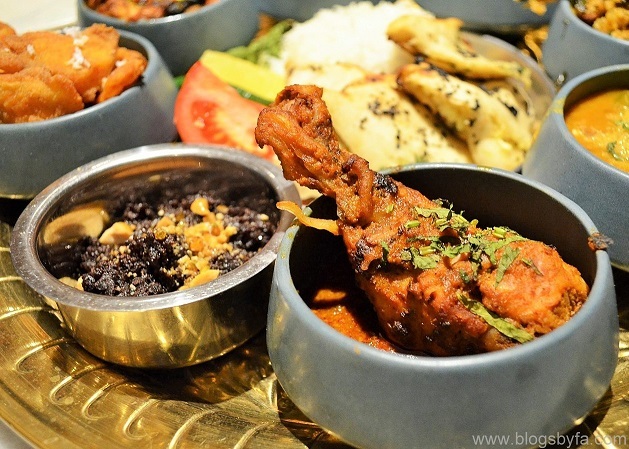 As they’ve come up with special menus for different occasions in the past, this year Talli Joe has introduced the Ramadan menu which is served at Iftaar time to cater to the Muslim community. A dedicated downstairs sitting area at the restaurant is exclusive for diners looking for an Iftaar dinner. The guests can find a prayer area here and also be assured that no music or alcohol is entertained around there. 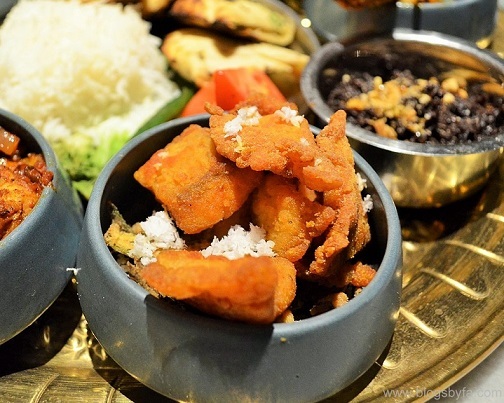 Moreover the proceeds from the Ramadan menu are used to support Curry for Change - run by 2 UK based charities that are currently working in 19 countries to help vulnerable families and to combat their poverty and hunger. 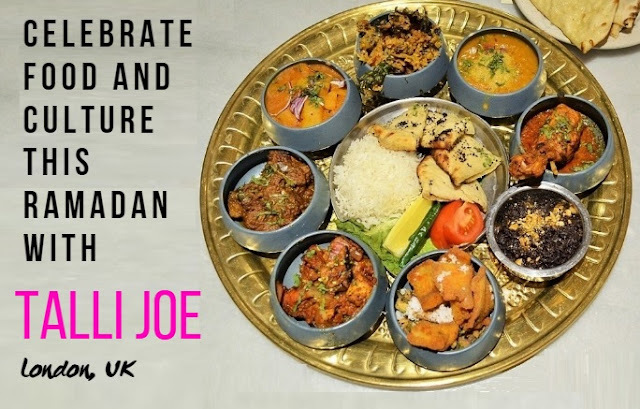 Talli Joe's Ramadan sharing platter for two costs £35 per person, and includes a selection of starters, a good number of mains and a dessert to complete the palate. The thali is ample for 2 adults to enjoy a filling meal. Yet, as per the thali concept, the diners are free to ask for re-fills as they wish during the course of the dinner. 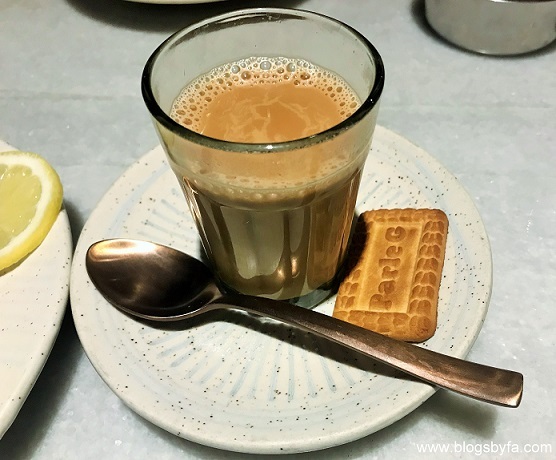 In addition free flowing masala chai served with a Parle G biscuit was something nice especially for those who love tea after their long fast. We were quite full after the meal, so did not feel the need to ask for refills except for Bohri chicken, which was for BabyN' as he was enjoying the mildly spiced dish. After being assisted to our table, we were served with some Medjool dates and water as the traditional items taken to end the day's fast. There were some seemingly refreshing drinks on the menu as well. From a choice of 4 non alcoholic mocktails (cost £6 each), we tried a few including Nimbo Pani and Tutti Fruiti which were so good to sip on given a slightly warmer day this Ramzan. This was my first time trying a kale chaat, so I wasn’t too sure about the taste. However, this popular Dehli street food served at Talli Joe as a starter was quite palatable! One can hardly guess the flavour and the ingredients just by looking at it and so the best way is to simply dive into it. With a base of sweet yoghurt and potatoes cut in cubes along with mint and tamarind chutney, some pomegranates tossed in and topped with crispy fried kale leaves, this was a wave of flavours in every bite. Definitely one of the must-try starters at Talli Joe and an excellent rendition of a savoury snack. Fish Kempu was the next dish that I tried - a classic Mangalorean crispy fish that was served on a bed of crispy fried okra and finished off with some dessicated coconut, served with tadka mayo to dip before eating. From all the dishes I tried, the Halwai ki mattar kachori was the spiciest. The ingredients included a spicy pea-stuffed bread in butternut squash and potato curry. If you've had the experience of trying out a samosa chaat before, then I can say that the idea of the dish was pretty much the same. In India, Halwai is referred to the community with primary occupation related to either confectionery or sweet-making. The halwais also sell freshly fried matar kachoris that taste delicious especially if eaten when still hot. It was one of the favourite dishes for my husband. Chicken 21, also included in the platter was given this name because of a particular reason, and I was quite intrigued to know about it. 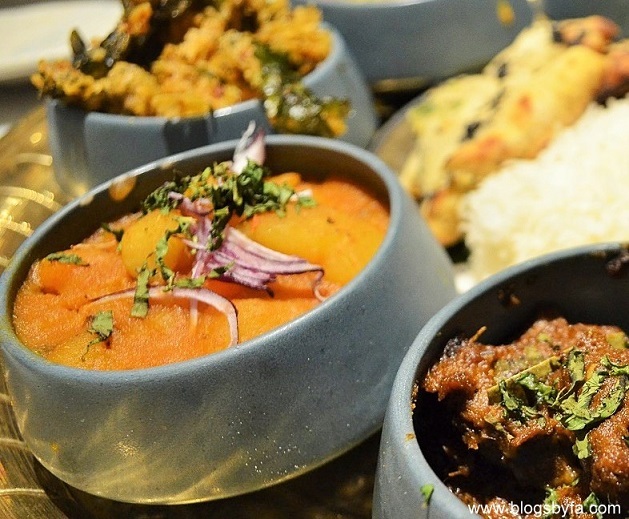 The chef at Talli Joe was satisfied with the dish after 21 iterations. The tender chicken had been stir-fried with south Indian spices and curry leaves giving the dish an aromatic and zestful taste. 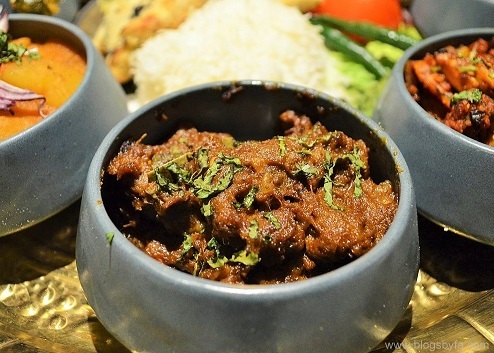 Lamb roast is definitely one of my favourite dishes, and Gol Baari Kosha Mangsho (lamb roast on the bone), cooked with a classic Bengali recipe was rich with spices, a gloriously deep flavoured dish with the right balance of richness mainly inspired by Gol Baari of Kolkata. I would definitely like to recreate Kosha Mangsho at home and enjoy it with a hot homemade paratha or naan bread. Bohri chicken was also one of the items in the Ramadan platter. Having lived in Dubai, I’ve been lucky enough to interact with people from lots of different cultures and one of my colleagues at my previous workplace in Dubai was also from the Indian Bohri community. This chicken dish created with a secret combination of masalas from their community was was enlivened with gentle yet effective spices. The sharing platter had a mix of dishes with variations in spices and this was a little mild, so it was even perfect for BabyN' to try. The platter also had some boiled white rice served on a banana leaf alongside two green chillies, for those wanting an extra kick, sliced lemon and tomatoes. The hot and freshly made Truffle Ghee Kulcha had been filled with generous amount of cottage cheese and brushed with ghee, also served alongside the rice. We paired the rice with the chana daal served in our platter, which gave a very homely feeling just if like we were eating a home cooked meal. 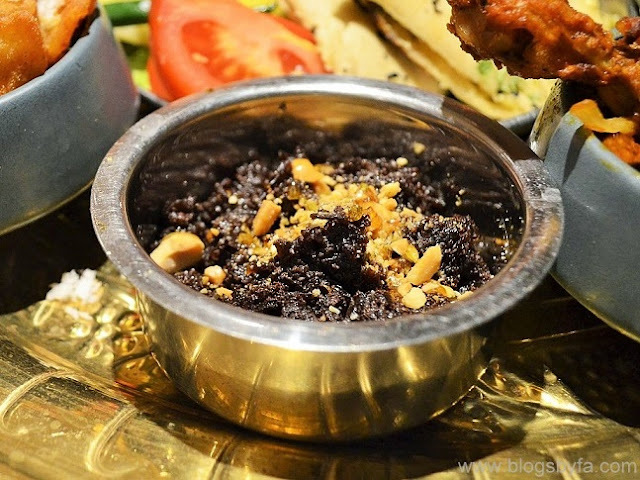 The first bite of the black gajar ka halwa, one of the most popular dessert at Talli Joe instantly reminded me of the carrot halwa my grandmother used to make when she was alive. I’ve been eating the carrot halwa made with our family recipe since childhood and my mother and aunts still follow the same recipe. I’ve never cooked the halwa using our family recipe myself yet, because it takes quite some time to prepare it but it was BabyN’s first time trying it and I’m glad he enjoyed it. Although parking is not available exactly outside the restaurant, there are options to park at the nearby streets, especially near the Covent Garden. We parked on the Wild Street (Drury Lane) and opted to walk to Talli Joe. It was just an 8 minute walk, and the weather that day was quite pleasant. All prices of the items at the restaurant are inclusive of VAT, but 12.5% service charge is applied on the bill. 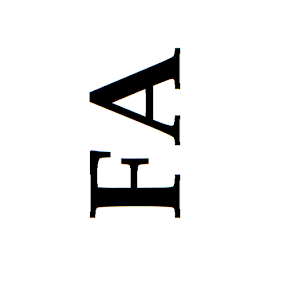 Also, gift vouchers ranging from £10 - £75 are available, and are ideal for giving them to family or friends. 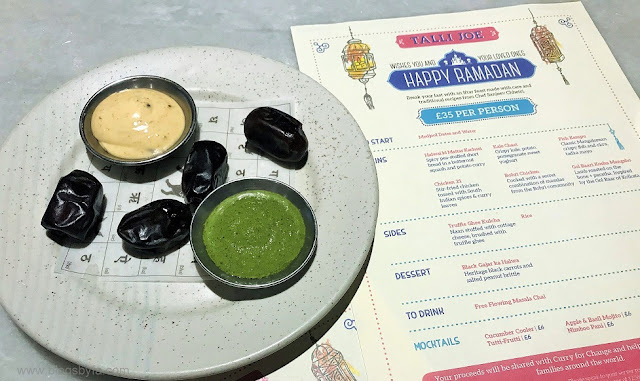 We had a great evening at Talli Joe and although the restaurant was open till 11:00 pm that night, we decided to take an early leave as we had to head back to Kent and reach home before suhoor. 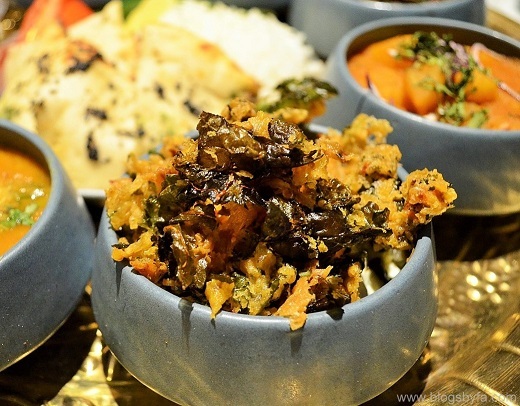 However, I’d definitely like to return to try some of the other dishes served at Talli Joe and if I'll be asked to order a few of these dishes from the Ramadan sharing platter, then the Kale chaat, Gol Baari Kosha Mangsho and Black gajar ka halwa would definitely top the list. Child-Friendly: Yes! We left the stroller upstairs before going downstairs for Iftaar. Not sure about baby changing station, as the need didn't arise. 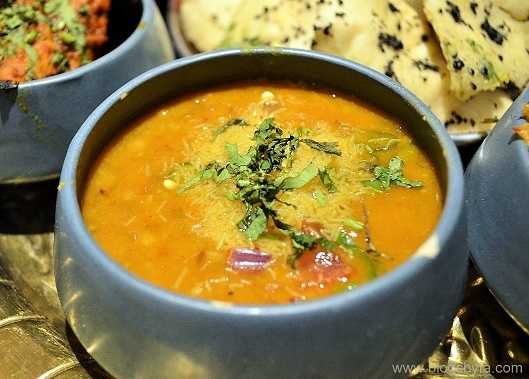 Ooh Indian cuisine is my favourite and Talli Joe is somewhere I have been meaning to try. 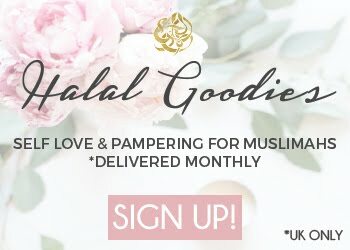 It is lovely that they have created an Iftar menu for Ramadan! Oh yum, all the food in your blog posts looks amazingly delicious, so glad you enjoyed the food as well. This sounds like a lovely place to eat, and in one of my favourite parts of London too! First of all, all the dishes look delicious. Secondly, it's great that places offer Ramadan menus. Finally, you absolutely cannot go wrong for £35 per person! The food looks truly delicious, and I think it is a lovely idea that they have created this special Iftar menu for Ramadan. As much as I love eating outside, having iftar in restaurants here in Malaysia is tough because it would always be packed with people! Food would normally come late too 😢 But the food looks amazing though! Everything looks soooo appetizing. Im glad I am reading this After breaking fast. The non alcoholic cocktails look lovely. I've not had kale chat before _ i'd really love to try it! The photos say it all! the Iftar menu is a very nice thing of them to do! and I'm thinking it will probably draw many people to eat there as well! love the idea of an Iftar out and a break from kitchen and cleaning for a day!! I'll be sure to bear it in mind if I'm ever in the area. Of course now I'm fasting so I'm drooling!!!! Looks like such a lovely idea. In China, there aren't too many things like that for Muslims, actually I don't think I've seen any Ramadan anything! But, there are plenty of halal restaurants, al hamdililah :) Looks delicious! All the more reason to visit London. 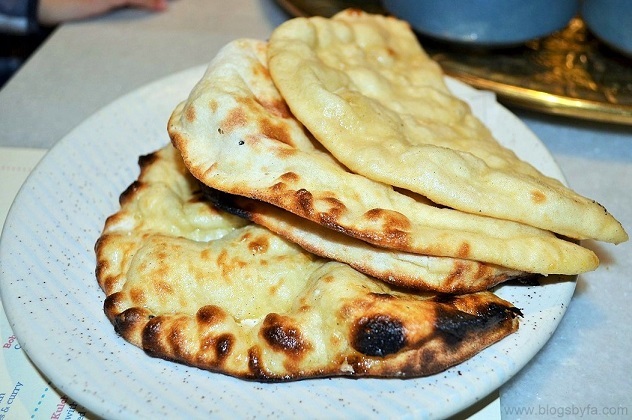 Wow the food looks delicious 😋 Indian cuisine is the best cuisine in the world.. ..